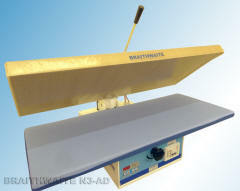 Roller Fusing Presses From J. Braithwaite & Co. Ltd. The Unity R45B compact fusing press has been designed for users who require the conveyer roller fusing system associated with large expensive factory machines, which is offered with-in a smaller cost effective machine suitable for low volume or intermittent production, bespoke manufacturing and sample runs etc. 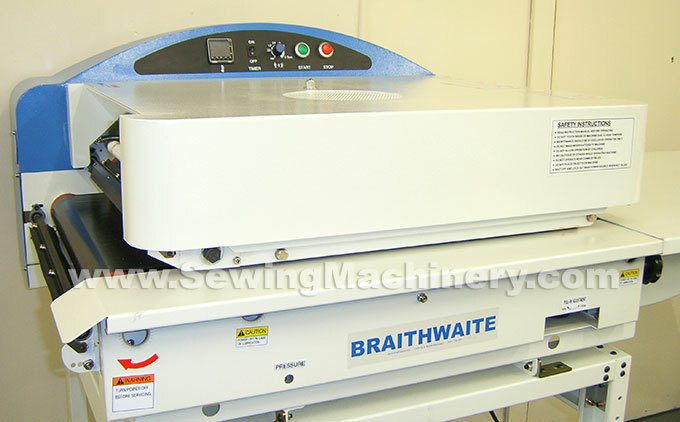 This model features friction resistant top + bottom belts with a useful fusing width of up to 45cm and an open sided design which allows wider items to pass through with the excess width over-hanging outside the machine. The conveyer belt running speed is electronically controlled with operator dial adjustment to suit different fusing times and interlinings etc. Temperature can be set up to 200oC and is digitally monitored for accuracy. The amount of pressure between the top and bottom pressure rollers is dial adjustable for easy operation. A free running belt tracking system has been developed to independently and automatically adjust the belt tracking, as necessary. The constant micro switch adjustment reduces belt warping and increases belt service life when compared with old style fixed tracking strip or spring systems. Top + bottom rotary strip off devices are fitted as standard equipment and inexpensive felts are used to clean the fusing belts. The Rotary strip off device helps reduce finished items from sticking to the belts and an extended bottom belt aids easier unloading. 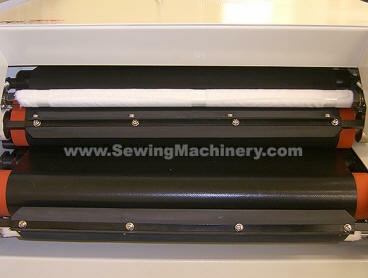 R45-BWS model includes robust mobile fusing work station with lockable wheels. 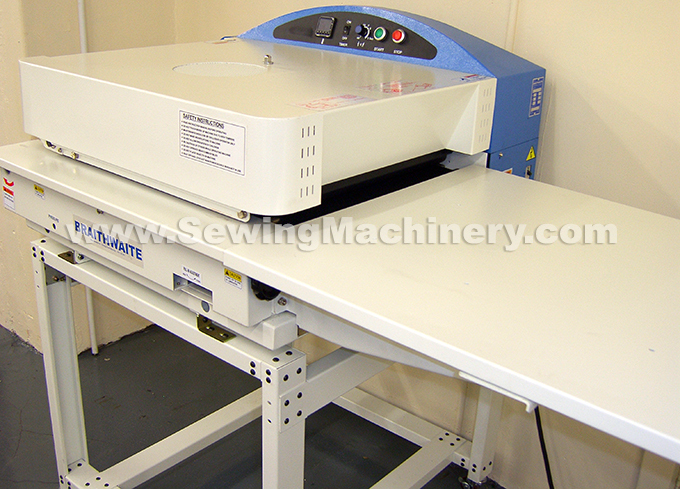 The Unity R45BWS model is supplied as a complete work station for general purpose fusing of textile interlinings and includes a free-standing robust base unit with large integrated loading table and lockable wheels for improved portability.